With sales of more than 19 million singles and 10 million albums, One Direction are arguably the most famous boy band in the world. 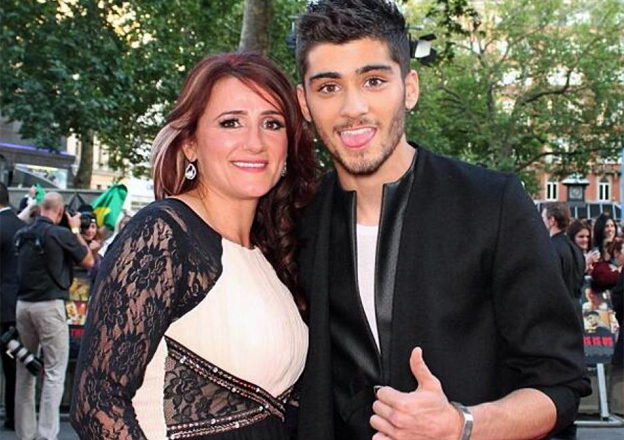 But, in a rare interview, Zayn Malik’s mother Trisha reveals he nearly missed the audition that made him a superstar. “Whenever I took him out, as a toddler, little old ladies would say: ‘Oh, he’s cute, he’s going to break a few hearts,” says Trisha Malik, remembering the not-too-distant past when her son was more Bradford baby than boyband heartthrob. It’s the first time she has spoken to the media since Zayn, as one-fifth of One Direction, shot to fame on the seventh series of X Factor. But things could have been very different, she says, if the 20-year-old had got his own way in the summer of 2010. Eventually, she coaxed him into going “just to see what happens”. “He hated dancing but loved singing,” she recalls. “He used to sing until three o’clock in the morning and I often used to have to ask him to turn it down”. The teenager got a unanimous “yes” and proceeded to bootcamp, but he was still beset by nerves – and almost quit because he “felt like an idiot” during an early choreography session. After a backstage pep talk from Simon Cowell, he was convinced to continue, and was eventually shepherded into a boy band with four other contestants. 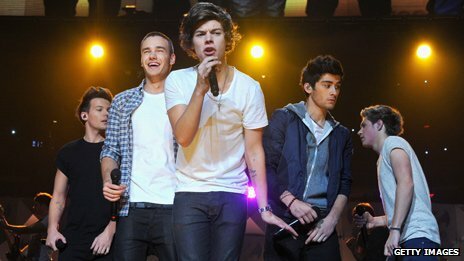 One Direction may only have placed third in the contest (after Matt Cardle and Rebecca Ferguson) but they are the show’s biggest success story, with three US number one albums, and a stadium tour booked for 2014. And they still don’t dance. 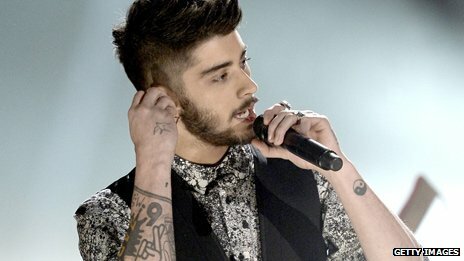 His mother is fiercely proud, but admits she has to watch much of Zayn’s success from afar. “He went to Australia recently and I didn’t see him for almost three months,” she says. “It’s sad but the family had to check on the internet to see where he was”. However, she keeps her distance when it comes to social media, and gets annoyed with the many fake accounts that exist in her name. “I don’t have a Twitter account as I don’t even understand it,” she says. “Me and Zayn’s dad stopped looking at social media because he (Zayn’s dad) used to get upset about what people had written. 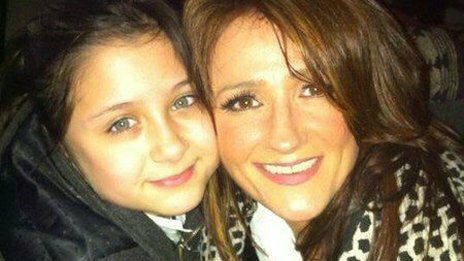 Trisha Malik was born in Bradford to a white British working class family. Her parents ran a pub in the city, but her life changed when she met and married a British Pakistani, Yasser, and converted to Islam. “I’ve always tried to learn as much as I can about my husband’s religion and culture,” she says. 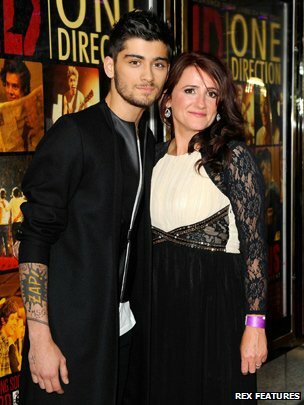 Since One Direction hit the big time, “I don’t get introduced as Trisha Malik but as Zayn’s mum,” she laughs. Life hasn’t changed much in the Malik household, though. “I still shop in my local supermarket and go to the discount store for a pair of shoes,” she says. Indeed, our interview takes place, at her request, in a cafe at her local Bradford shopping centre, rather than any starry showbiz locale. However, the family – Zayn’s parents, three sisters and the family dog – have made one upgrade, moving to a new house in the city. Zayn paid for it himself and, in the recent One Direction movie, Trisha is seen, overcome with emotion, as she is handed the keys. “We never had enough money to buy our own house,” she explains. “We always lived in rented accommodation, so Zayn knew how very important it was for me to have my own place”. Until recently, Trisha worked as a halal chef in the kitchen of a local primary school, making meals for Muslim children. On Zayn’s advice she gave up her job. “Zayn said ‘you don’t have to do this anymore’. Instead, he puts my wage into my bank”. Trisha is keen to ensure her family remain humble and remember their early years of growing up in the Victorian-era terraced houses of the Bradford’s East Bowling district. “None of the sisters will follow Zayn’s footsteps into a music career,” says Trisha, who describes her offspring as “shy”. They don’t get to see their brother often but, when they do, she says it’s just like it used to be. And the family is set to expand soon, after Zayn got engaged to Little Mix star and fellow X Factor alumnus, Perrie Edwards. “Perrie is a lovely girl and I get on really well with her” says Trisha. “They’re thinking of the end of next year, although no date has yet been set yet”. They might get time to discuss plans this Christmas, when the Malik family travel to London from Bradford to celebrate with Zayn and Perrie. “I will cook the dinner,” says Trisha. “Perrie and her mother will be there and we’ll open presents, play games and stuff our faces,” she laughs. And Trisha’s hoping that, once Zayn and Perrie tie the knot, they’ll set up home a bit closer to her. “If they have children I wouldn’t like to be so far away from them. I would really like to still be part of their lives”.